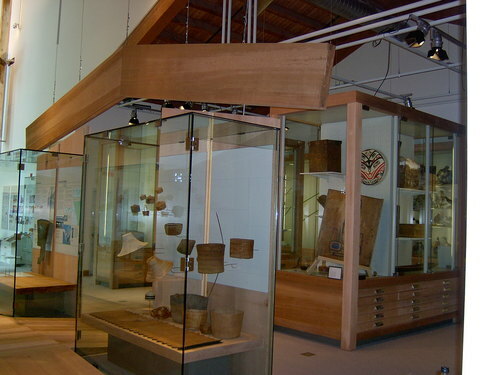 The Haida Heritage Centre had its soft opening in July 2007 and and its Grand Opening in August 2008. Visitors from all over the world have enjoyed this internationally significant showplace and are giving rave reviews to this celebration of Haida culture past and present. 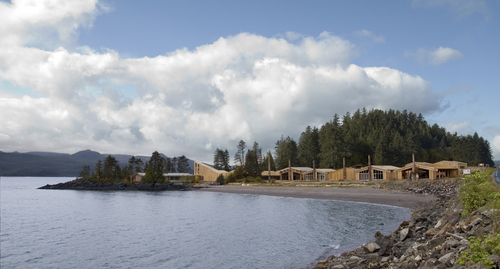 The Haida Heritage Centre encompasses the expanded and revamped Haida Gwaii Museum with its many exhibits, artefacts and audio-visuals, including a specially commissioned video. Apart from the Museum, features of the Centre include a gift shop, the Canoe House, Carving Shed, Performing House, the Bill Reid Teaching Centre and a small cafe. 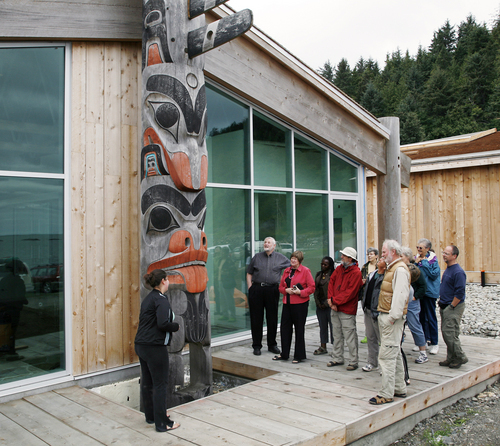 Visitor Orientations and presentations about Gwaii Haanas National Park Reserve and Haida Heritage Site also take place at the Centre. 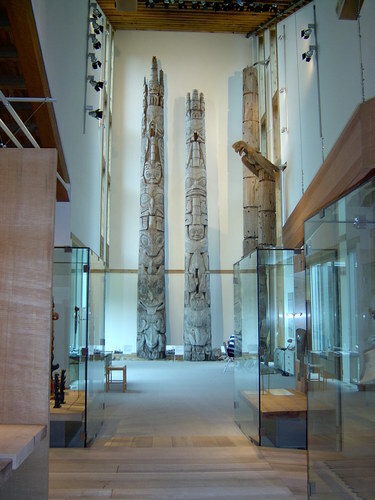 Six monumental totem poles representing the southern villages stand like sentinels in front of the Centre and are the works of artists Norman Price, Garner Moody, Guujaaw, Jim Hart, Tim Boyko and Giitsxaa. The 53,000 sq. ft. Centre resembles a series of Longhouses, connected by interior walkways and atrium space. It tries to replicate the general appearance of the village of Kaay Llnagaay or "Sea Lion Town" which once occupied this location. The Canoe House is home to the Loo Taa, the Haida canoe carved by the late Bill Reid for Expo '86 and paddled from Vancouver to Skidegate, as well as the newer fibreglass version, the Loo Plex. The Carving Shed is a space available to carvers working on canoes and totem poles. 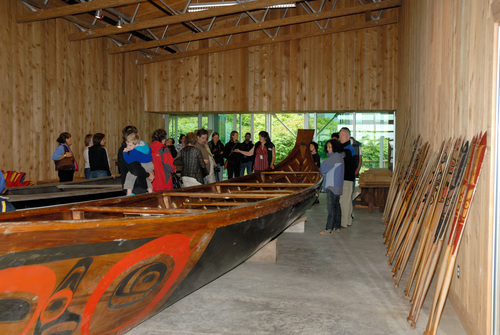 Last year three Haida dugout canoes were carved from start to finish. They were the first canoes carved in Skidegate in more than 20 years. The natural beauty of the site and warm setting of the Centre provide a comfortable place for visitors and locals to interact. The guides' natural approach and cultural knowledge allow for an open and honest exchange of cultures. September 19, 2008 to April 30, 2009 - the Centre will open Tuesday to Saturday 11am - 5pm.